← We welcome our new Aurealis Awards overlords! It is our very great pleasure to announce the introduction of the Sara Douglass Book Series Award. With the blessing of the executor of Sara Douglass’s estate, the Aurealis Awards is very pleased to introduce the Sara Douglass Book Series Award. This Award is named for one of Australia’s best known speculative fiction writers. 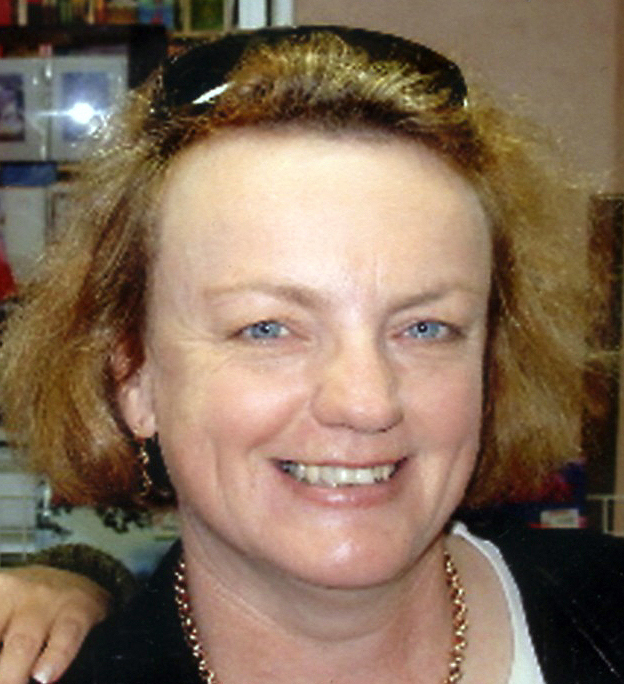 Sara Douglass was the flagship author of the HarperVoyager Australian line, which launched the careers of many of our most popular writers, and paved the way for the vibrant and diverse speculative fiction scene Australia has today. Sara’s contribution to the state of speculative fiction in Australia cannot be underestimated, and we are proud to commemorate her in this Award. The Sara Douglass Book Series Award is a WASFF-hosted trial, and covers series ending between 2011 and 2014 (in the inaugural year). Submissions for this Award are due by August 31, 2015. Please note this is earlier than the regular Aurealis Awards categories. The Award will potentially thereafter be held periodically (not annually, but to be advised), covering the interim years. The Sara Douglass Book Series Award is not an Aurealis Award as such, but a separate, special award conferred during the ceremony (like the Convenors’ Award for Excellence). The series may be in any speculative genre within the extended bounds of science fiction, fantasy or horror (that is, if a book would be considered on an individual basis for one of the regular Aurealis Awards, the series may be considered here). As with the rules for Illustrated Work/Graphic Novel and serialised novels, if a series is considered finished and entered at the conclusion of (for example) book three, but then is continued in future works, the future works *may* be entered as a series at a later point, but the first trilogy (for example), if previously entered in the Series award, may not be considered again. 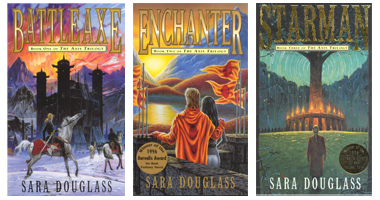 As an example – if the first three books of Sara Douglass’s Wayfarer Redemption series (Battleaxe / Enchanter / Starman) had been entered in the Sara Douglass Book Series Award in the year following the publication of the final book, the subsequent trilogy continuing the story (Sinner / Pilgrim / Crusader) could have been entered in a later year, but the first three could not be considered again as a series of six. However, if the first three books had never been considered for the Sara Douglass Book Series Award, all six could have been entered at the conclusion. Essentially, parts of an extended series may only be considered once for this Award (although as noted, individual books are still eligible for regular Aurealis Awards categories in their year of publication). Entries to this Award will open at the same time as the rest of the Aurealis Awards but will close on August 31, to permit the judging panel sufficient time to consider the number of entries anticipated. Please consider following us on Twitter, Facebook or by RSS to stay informed about forthcoming announcements. Please contact the Judging Co-ordinator if you have any queries about the Sara Douglass Book Series Award. This entry was posted in News and tagged Sara Douglass, Sara Douglass Book Series Award. Bookmark the permalink. Reblogged this on Christina Craig.